Click on canal names and Drifters Hire bases for more information. Click here to return to full map of UK Canals and Waterways. 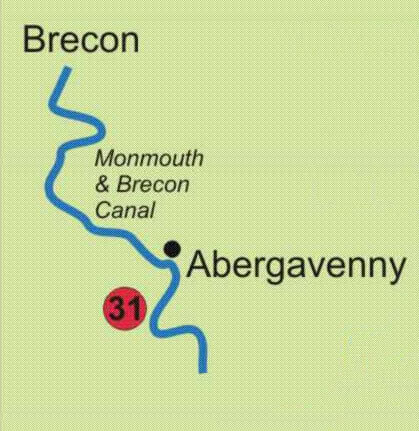 The Monmouth & Brecon canal stands out amongst other canals in Britain because of the beautiful scenery through which it flows. Being a rural canal there are no big towns or cities to go through and canal remains totally unspoilt. With only six locks it makes for a very relaxing holiday. In addition with only six locks it makes for a relaxing holiday, although for canal enthusiasts there are all the normal attraction in the form of a tunnel, several lift-bridges and canal side pubs! This canal is never over-busy, even at the height of the summer and queues at locks are most unusual. Further north in Wales, the Llangollen Canal is one of our most popular cruises, featuring spectacular aqueducts and a really rural route with very few locks. The ‘Welsh Lakeland’ near Ellesmere is a real treat on this canal. A branch from this canal forms the Montgomery Canal. 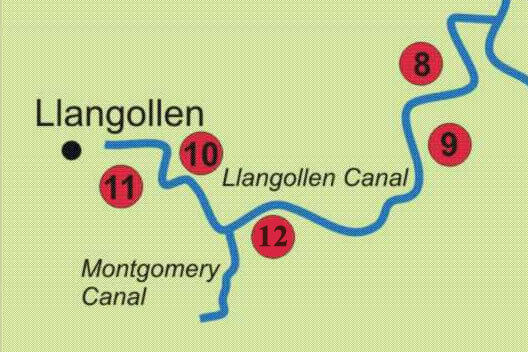 Click here to view photogrpahs of the canals of Wales.